When former GM Alex Anthopoulos went on his shopping spree over a year ago prior to the trade deadline, he was able to hang onto much of the club's upper level talent depth. He did, however, deal much of its middle level talent base in order to put deals together that resulted in a division title. 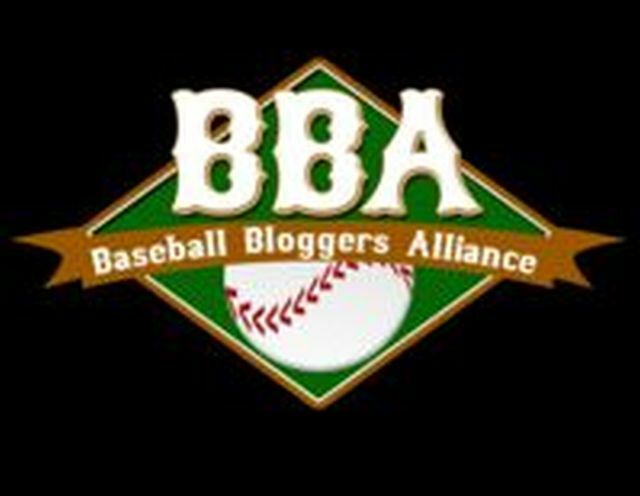 The top level prospects, like Anthony Alford, Conner Greene, Sean Reid-Foley, Richard Urena, and Rowdy Tellez, remained intact, and now the next wave of prospects is just starting to get established in Low A ball. RHP Justin Maese is at the forefront of that group. Maese (say "My-EH-zee) grew up in the football hotbed of El Paso, TX, which is off the beaten path for baseball scouts. 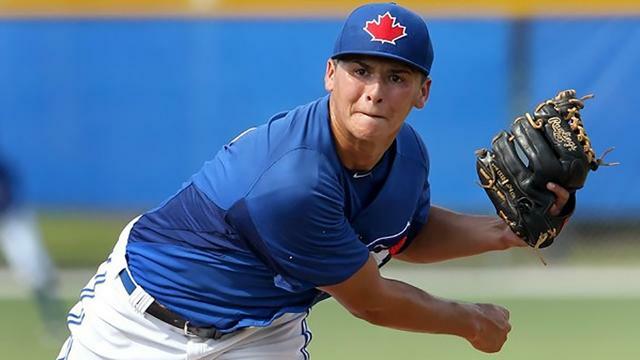 A high school QB and punter, he was headed the college football route, but began to attract minor attention when he hit 96 on the gun in the spring of 2015. Credit goes to the Blue Jays, who developed a knack for unearthing talent in non-traditional baseball markets under Anthopoulos, and Blue Texas scout Gerald Murray, who talked Maese out of his football commitment, and he signed with Toronto after being selected in the 3rd round last June. Maese climbed this spring from off of draft boards into consideration for the top 10 rounds because scouts who saw him at his best saw an above-average fastball and a slider that flashed above-average. But scouts who stuck around for a few more starts saw the stuff often drop back from the 93-96 mph he showed at his best to 88-92 mph. Maese's feel for the breaking ball comes and goes and his delivery involves effort and is somewhat mechanical. But Maese has lots of arm speed and potential if he can smooth out the rough edges. He is committed to Texas Tech. Athletic and live-armed, Maese delivers from a low three-quarters delivery that helps him impart excellent sink to his fastball. His velocity came and went during the spring, which led to his draft stock rising and falling, but when he stays on top of the ball in his delivery, he can push 96 mph with plus sinking life. He'll sit 89-93 mph most of the time but could fill out and hold higher velocity longer down the line. He has work to do to polish his changeup and slider, which at times flashes pus with mid-80s power. Maese had an exceptional groundball rate in his debut (2.58 grounds per airout) and profiles as a power sinkerballer if it all works out. Maese has been on an upward arc in terms of his career trajectory ever since, and in only his second pro season was promoted to Lansing a few weeks ago. Last year, he was dominant in the GCL, being named the league's MVP, and threw a 6-inning, one run, four hit, 10 strikeout game in the playoffs. This year, Maese began the season with Vancouver, as the organization opted to pump the brakes a bit on his development, but after posting an 0.80 WHIP for the C's in 26 innings over 5 starts, he was on his way to the Midwest League. Maese worked a tidy, 10-pitch first inning, retiring the side in order, CF Lane Thomas making a nice running catch of a sinking liner for the final out. A deliberate worker on the mound, West Michigan hitters started stepping out of the box on Maese in the 2nd. Maese gave up a one-out double off the LF wall, which later came around to score on a two-out single that had some eyes, and found a hole between third and short. As a sinkerball pitcher who works down in the zone, Maese will give up some contact like that. Hitting 95, Maese struck out the final hitter swinging to end his 16-pitch 2nd. Maese struggled a bit with his command in the 3rd, but still retired the side in order on 13 pitches, inducing a pair of groundball outs after striking out the leadoff hitter. He also gave up a leadoff single in the 4th, but C Ryan Hissery, who continues to improve his skills behind the plate, gunned down the runner attempting to steal 2nd. While Maese did not show a great move to 1st in this game, his short stride to home no doubt helped Hissey throw the runner out. He retired the next two hitters, needing only 8 pitches to get out of the inning. The 5th proved to be Maese's longest of the day. After giving up another leadoff base hit, Hissey's throw hit the runner on the helmet as he attempted to steal second, putting a runner on 3rd with no outs. A one-out singled brought home West Michigan's second run of the game. Maese retired the next two hitters, and still maintained his velocity, hitting 95 once again, but he did continue to struggle with his command. He required 22 pitches to get through the inning. Maese's cleanest inning of the night was the 6th, when he needed only 5 pitches to retire the side in order. Back out for the 7th, Maese gave up a pair of soft grounders to start the inning, but his infield D let him down a bit. SS JC Cardenas ranged to his right to scoop up a groundball from the leadoff hitter, but didn't have time to set up properly for the throw, and skipped it to first, allowing the hitter to beat it by a hair. Two pitches later, 2B Ryan Metzler bobbled a routine groundball which most likely would have resulted in a double play had he not dropped it, leaving runners on first and second with no outs. The next hitter whiffed on a pair of bunt attempts, and swung and missed at Maese's third pitch for the first out of the inning, and with a left-handed hitter due next, and Maese at 80 pitches for the night, his outing was over. For the game, Maese threw 6.1 innings, gave up a pair of earned runs on six hits, allowed a walk, and fanned six. He threw 80 pitches, 55 for strikes, and threw first strikes to 11 of the 26 hitters he faced. Maese had 8 swings-and-misses on the night, and recorded 8 ground ball outs, as opposed to 4 by fly balls. He worked consistently down in the zone for much of the night, relying mostly on his sinker, which showed good movement. He pairs his sinker with an 89 mph slider, as well as his change, but stuck mostly with the fastball on this night. Maese is still a considerable distance away from MLB, and given his age and experience, there's no need to rush. There was concern that he wouldn't be able to refine his mechanics or keep his velo up well into games, but he appears to have all but conquered those aspects. His change is coming along nicely, but is still a work in progress. Maese profiles as a weak-contact inducing pounder of the lower part of the strike zone. Promoting him to Lansing was a challenge, and while he's alternated some good outings with some in which he's struggled, Maese is making good progress. At 19, there is projection remaining. There may be more room for an extra mile or two per hour of velocity, and his fastball command and secondary pitches should continue to improve. Expect to see him back at Lansing to start the year next season, but his development could really take off in 2017.